The crypto market presents limitless potential for financial gain. But, cryptocurrency trading is very different from stock market trading. You don’t get 50X returns in the stock market in six months. Investors are already taking advantage of this emerging market to make seven figure returns. But cryptocurrency trading is still a new platform. Even the savviest stock investors need help understanding the ins and outs of the market. By understanding its nuances, you can create million dollar opportunities with cryptocurrency. 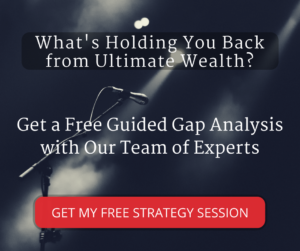 Your first step is to jump on a free Gap Analysis strategy session with an expert from our team. This conversation will help you understand your financial foundation and build a custom investment plan catered to your goals. Next, use these tips to help you dive head first into the future of investing. Timing is everything – especially when it comes to investing. 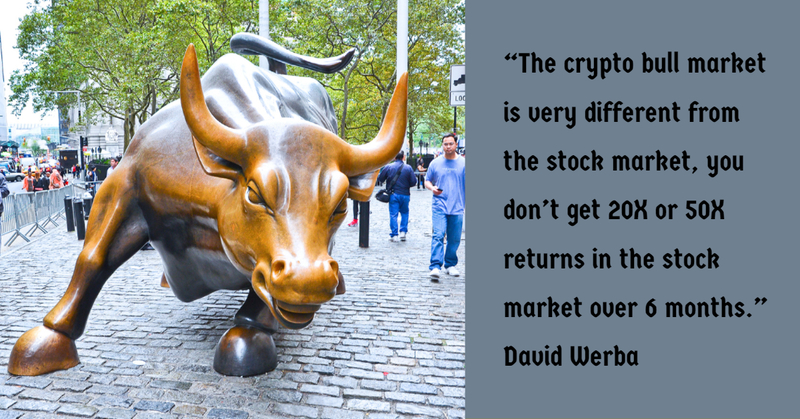 As with the stock market, it’s critical to enter the crypto market at the right time to maximize your returns. Bitcoin prices tumbled in 2018 and investors paid the price. The problem? Investors didn’t pay attention to the warning signs. Bitcoin was in the midst of a death cross last year – which typically sparks the beginning of a bear market. A death cross is when the 50-day moving average crosses the 200-day moving average on the downside. A better time to invest is during a golden cross – when the 50-day moving average crosses the 200-day moving average on the upside. Professional traders usually short stocks during a death cross and long stocks during a golden cross. What’s the best time to enter the crypto market? There’s no one date. It’s difficult to predict a golden cross. Your best bet is to ladder in and slowly enter the market during the first dip after a cross. With so many buzzworthy coins in the crypto market, it can be hard to bet on a winner. The good news? It’s hard to pick a loser in a bull market. A great way to maximize your returns is to invest in a coin that offers staking rewards. Many startups offer monthly bonuses to investors for simply holding onto their coins. By investing, you get monthly rewards for simply holding onto their coins. You can then put these bonuses right back into new investments to expedite your wealth-building. Always protect your assets. The best way to keep your coins safe and secure is to store them in the wallet of your native coin. Crypto exchanges make it easy to invest, sell coins and deposit funds. However, they’re vulnerable to getting frozen and hacked – meaning you could lose all of your funds in one fell swoop. Native wallets are much more secure. They’re decentralized and the account holder is always in control. With native wallets, you’re the only one who has the keys to your account. Whether you have hundreds or millions in crypto, you can protect your investment by placing your money where it’s safe. The majority of crypto traders lose money. That doesn’t mean cryptocurrency is a bad investment – you just have to be smart and do your research. Crypto trading is still new and investors are prone to making mistakes. When Bitcoin’s price spiked in 2018, many people were quick to push their chips to the middle of the table. With basic research, however, they would have discovered that cryptocurrency was about to enter a bull market. Avoid pitfalls and mistakes by doing extra research. Read up on the history and forecast of the market before making big financial decisions. By educating yourself on the market, you can enter and exit the market at the right times and see major financial gains. The cryptocurrency revolution has arrived. Cryptocurrency presents huge opportunities for life-changing investments and returns. Use these tips to enter the market, protect your assets and build the wealth you’ve always dreamed of.